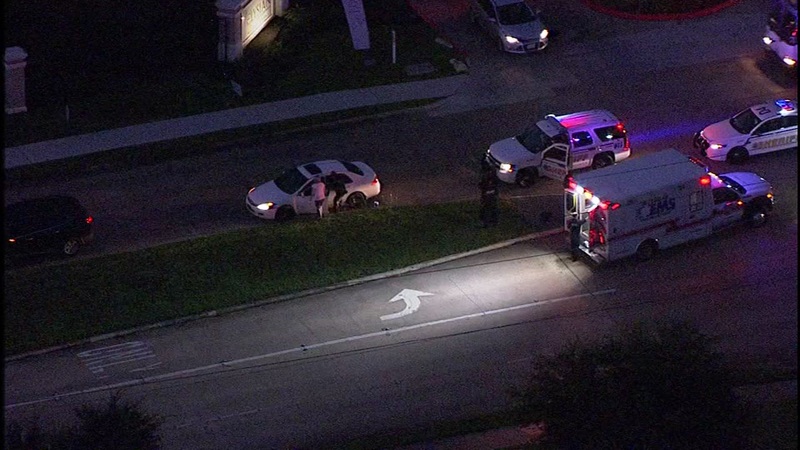 Student struck by vehicle in W. Harris Co.
HARRIS COUNTY, TX (KTRK) -- A student was struck by a vehicle this morning in west Harris County, but is fortunately okay. The accident happened on Kingsland Boulevard near South Mason Road. SkyEye was over the scene of the accident and captured video of EMS and deputies at the scene. A child and her mother were there speaking with the driver of a white vehicle. The mother signed a waver and left the scene with the child, who did not appear to have anything beyond minor injuries.